Save 40% on blue and orange tag lighting, from mid-century fixtures to antique chandeliers. 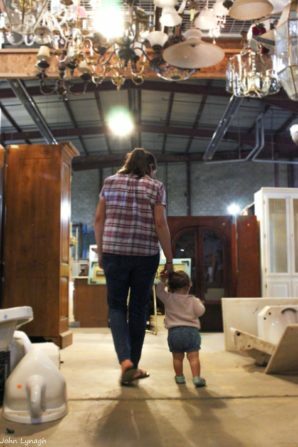 Sale includes overhead lights, flush-mounted lights, wall sconces, patio lights, lamps, and fluorescent fixtures from every era! Sale does not include other light parts or electrical supplies. 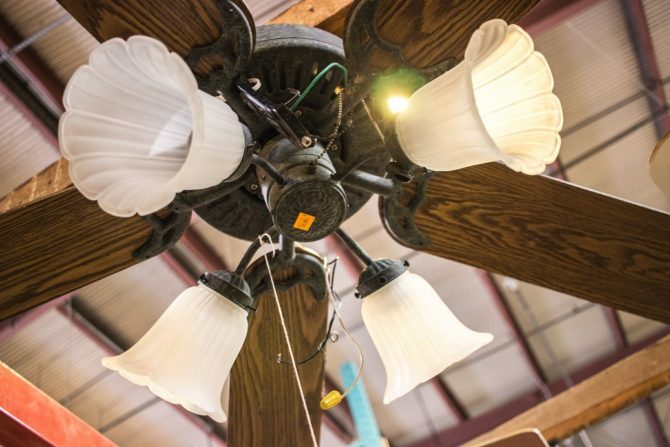 Save 40% on modern and vintage ceiling fans with or without lights. Sale does not include other light parts or electrical supplies. Please note: Monthly sales do not include select specialty items, items from our consignment partners, or items listed online. Items with missing or damaged price tags will not be sold. Monthly sales may not be combined with other sales or promotions. Remember, if you can’t make it in to see us, visit our eBay and Etsy stores for some great finds!